Thank you for using Freedom for Android! We are very excited to share it with you. Freedom for Android was launched recently - while we're now out of Beta, we're still collecting feedback and on the lookout for performance issues. You can share feedback about the Freedom app here. To get started, first download the Freedom app via Google Play. Once you install it, log in with your Freedom account email and password. 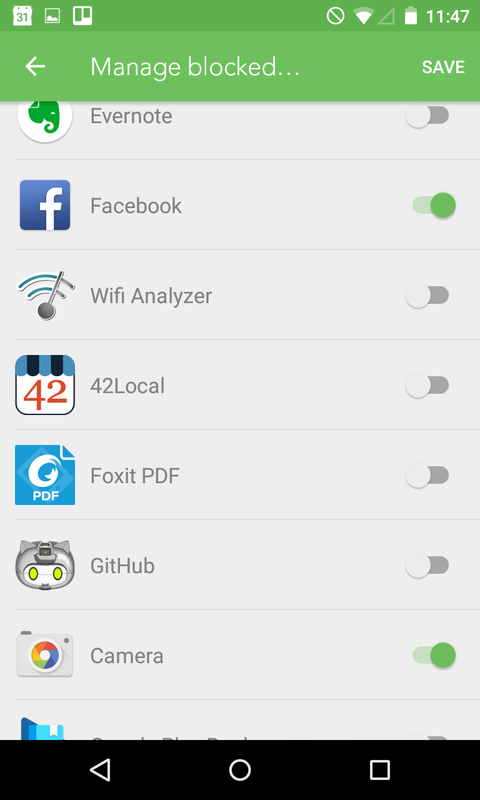 The Freedom for Android app works by blocking both phone apps and websites of your choice. 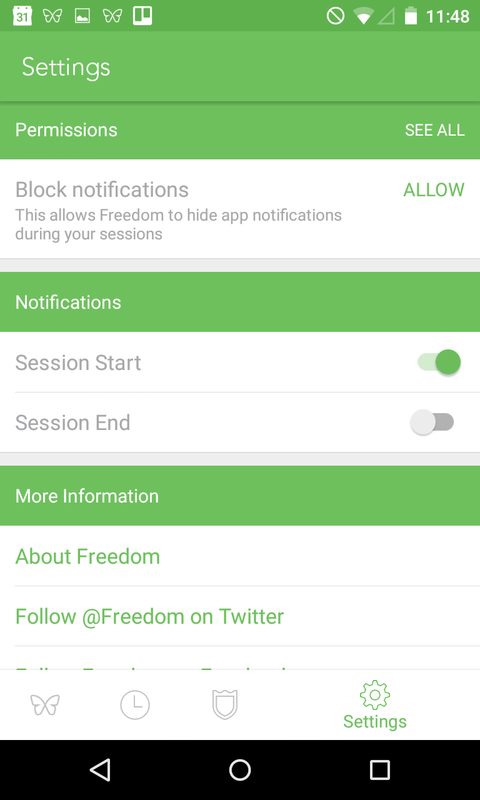 Freedom for Android can also block app notifications! To block websites, apps. and app notifications, you will first need to enable permissions for the Freedom app. You will be prompted to enable these permissions as you use the app, but you can also set them up via the Settings screen. To choose the apps you wish to block, tap the Blocklists icon from the bottom of the screen and then tap "Manage" next to Blocked Applications. After tapping "Manage", you'll see a list of your phone apps. On this screen, you can select the apps you wish to block while a Freedom session is running. Tap the toggle button next to the apps you would like to block and then tap "Save". 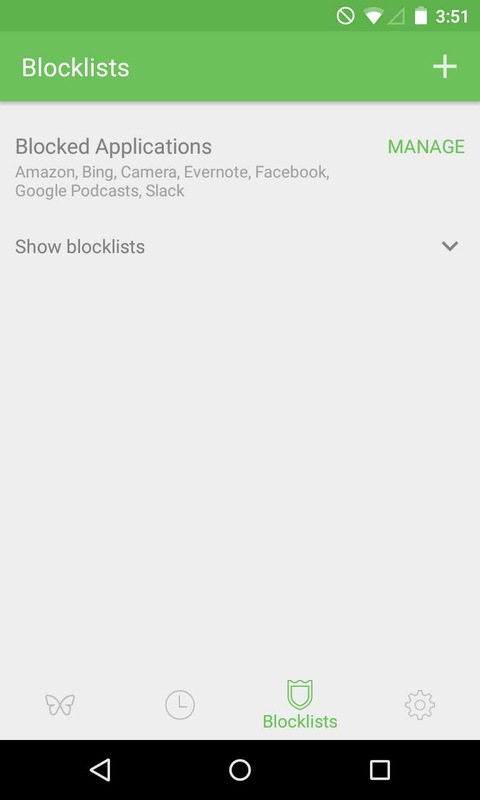 To block websites, tap the Blocklists icon from the bottom of the screen and then tap "Distractions" to add our premade blocks and custom websites to your blocklist. Once you select apps you wish to block and create add sites to your normal blocklists, you can start a Freedom session. Click on "Start Session" to create a blocking session. 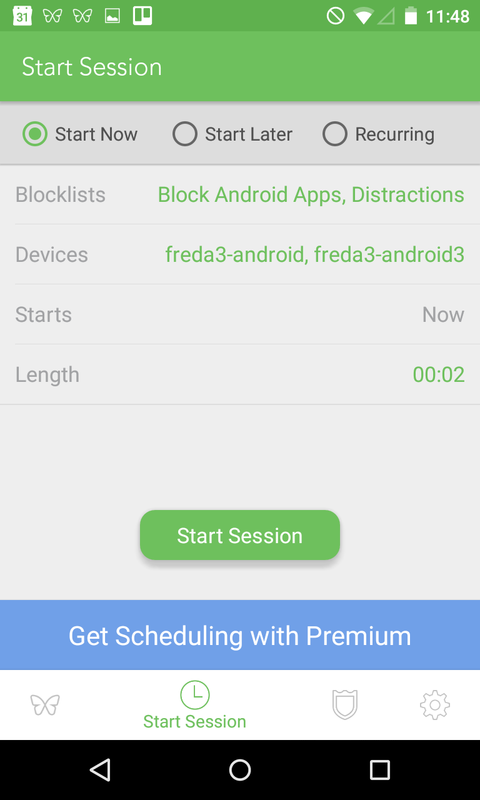 **Important** To block apps during your sessions, make sure that "Block Android Apps" is included in your Blocklists. Next, select the devices and times you'd like the session to run and start your session! Still having trouble? Please feel free to send us an email at support@freedom.to or chat with us via the green chat bubble in the bottom right corner of the page and we'll be happy to help! We'd love your feedback and feature requests! You can share those with us via our feedback form. Thank you for using Freedom for Android! We're so excited to share it with you.